World Dip Con started off as an idea mooted by Simon Billeness in the US zine House of Lords as an idea that Britain could host a DipCon. This idea was quickly crushed as the idea of the North American Championships 'crossing the pond' proved to be anathema to the majority of the contributors to HoL. However, the idea didn't go away as many people expressed an interest in attending a convention in the United Kingdom. From there, the next suggestion was World Dip Con and Manorcon (the largest UK Diplomacy convention) agreed to test the water with a World Dip Con in 1988. There seemed to be little objection - so Manorcon 88 became World Dip Con. This convention was very well publicized (thanks to Larry Peery, the then editor of Diplomacy World and Simon Billeness and attracted over 300 gamers mainly from the United Kingdom but with attenders from Ireland, the Netherlands, Belgium, Germany, the United States, Canada and Australia. The Diplomacy tournament was held over two rounds and had 188 players and was won by Phil Day from the United Kingdom. People enjoyed it so much that as decision was taken to rotate World Dip Con around the world and then when it returned to ManorCon in 1994 a meeting would be held to decide its future. Therefore in 1990, World Dip Con II was held in conjunction with DixieCon in Chapel Hill, NC. David Hood and his team did a marvelous job and players came from all over the world (including a dozen from the U.K.) to compete in what has been one of the biggest DipCon's for some years. A couple of us even enjoyed it so much that we returned to DixieCon in 1992. This was followed by another WDC in 1992 in Canberra, Australia - because of the distances the attendance wasn't so wide-ranging but players still came from Europe and North America to compete for the title of World Champion. Over the years, there was a general recognition that World Dip Con had to be put on a more regular footing with some form of 'Charter' like the charter that governs DipCon. The reason for this was the emergence of the European Tournament hobbies in France, Sweden, Italy and Austria which had become interested in holding a World Dip Con. If World Dip Con was to become truly international and not just an Anglophone convention, then the European hobbies had to be accommodated. This provoked a debate in postal Diplomacy zines and at conventions world wide. While there was plenty of talk, little seemed to be done save to generally agree that World Dip Con should become annual rather than biannual (and even then there were dissenters). It had been agreed that decisions on World Dip Con's future would be made when World Dip Con returned to ManorCon in 1994. Therefore, in order to aid this discussion - I as ManorCon's chairman (and therefore the chairman of World Dip Con) took a unilateral decision to attempt to aid the process along. The idea being that we wanted to go to a World Dip Con to play games, to meet international contacts and to make new friends rather than to argue how we should argue about the future. So, I stopped arguing with people about World Dip Con, put my opinions on the back burner and produced a draft charter with collusion from Pete Gaughan who sent me a copy of the Dip Con Charter. The DipCon charter proved to be the basis of over 80% of the original draft and I really don't know how I would have managed without it. The point was, in the main, not to reflect my opinions in the charter but to produce a document that could be used as a framework for others to build on with their ideas. Sadly, there wasn't much forthcoming comment on the Charter. Some people made suggestions to remove contradictions and failures of procedure from the charter, others helped me tighten up the Zone descriptions and others suggested some constructive additions. Unfortunately, there were others who just complained and did not offer any alternative suggestion for their criticism. However, towards the end of 1993 I produced the charter for submission to a meeting at World Dip Con, along with rules for that meeting and a number of other documents. These were distributed to over twenty people in twelve different countries - hopefully people will send in amendments to the charter to be voted on at World Dip Con. But the Charter is not the be all and end all of World Dip Con. 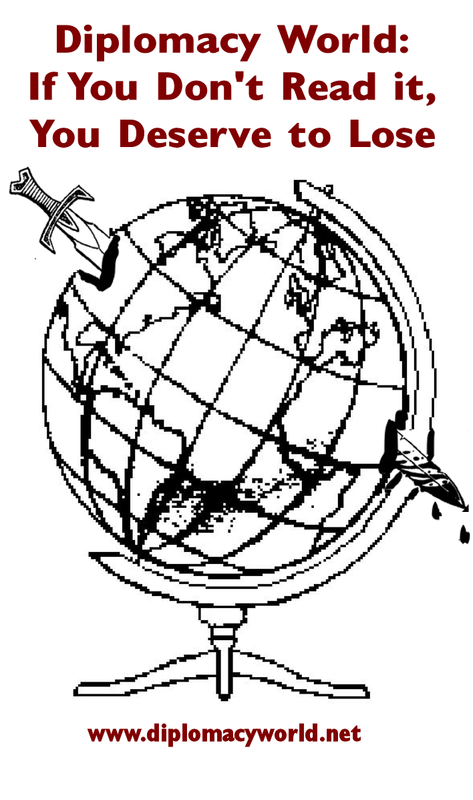 The next World Dip Con will be hosted by ManorCon 12 at Birmingham University, England between the 21st and the 25th of July 1994. This is a residential site based around a modern University dormitory and we have accommodation available at reasonable prices, the dormitory (Lake Hall) has full catering facilities and a bar and ample free car parking. Birmingham is one of the most accessible towns in the United Kingdom with good rail and road connections from most U.K. airports, as well as its own International Airport (mainly used for European flights). The city makes a excellent base for exploring the local attractions. Manorcon is a popular convention which has been run for twelve years at Birmingham University, the committee have a great deal of experience in running and planning such events and several of the committee ran the first World Dip Con. ManorCon attendances have latterly been in the 300's on several occasions making it the one of the biggest amateur-run board gaming conventions in the world. The main aim of a World Diplomacy tournament must be to find out who is the Diplomacy champion of the World and so this year's World Dip Con obviously have to have a large Diplomacy tournament so that people can battle against each other for this coveted title. The tournament will have five rounds, one on the Thursday evening, two on the Friday (morning and evening), one on the Saturday and one on the Sunday. In order to qualify for a shot at the World Championship, you will have to play in two rounds. The Saturday round is a team round where teams of seven compete against each other. Apart from that there will be plenty of other board gaming, ManorCon has always had a tradition of being a multi-games tournament, the Diplomacy is the main thing but we will also have tournaments for Railway Rivals (run by David Watts, designer of the game), United (by Alan Parr, the designer of the game), Acquire, 1830, Outposts, Kingmaker, Croquet and Speed Circuit as well as the extremely popular ManorCon Sunday Bridge Pairs. And if you don't want to play any of those, just bring your favorite games along and I'm sure that it won't take too long to find people for a game. Added to that we will have a number of added attractions such as several small games manufacturers bringing along their games for sale (at discounted prices), then there will be the Second Hand Games stall on the Friday and Saturday. The World Dip Con Charter debate on the Saturday night and a special Hobby Auction of memorabilia. There will be some other special events too, but they are still in the process of planning. As of the 1st of January, over 50 people had already registered to attend. One of the things that must be decided at World Dip Con is where the next World Dip Con will be. At the moment, due to the charter being open for amendment, this is confused - when the amendment deadline has passed, then it will we will be able to say with more certainty what areas maybe eligible. For further information on attending World Dip Con IV in the UK this year either write to Richard Walkderine at 6 Honeybourne Way, Wickwar, Wotton-under-Edge, Glos. GL12 8PF. United Kingdom or send an email requesting information to wdc@manorcon.demon.co.uk.